On 7 January 2016, the Council of the European Union appointed Mr Kestutis Lancinskas, a senior Lithuanian police official, as head of the European Union Advisory Mission Ukraine. 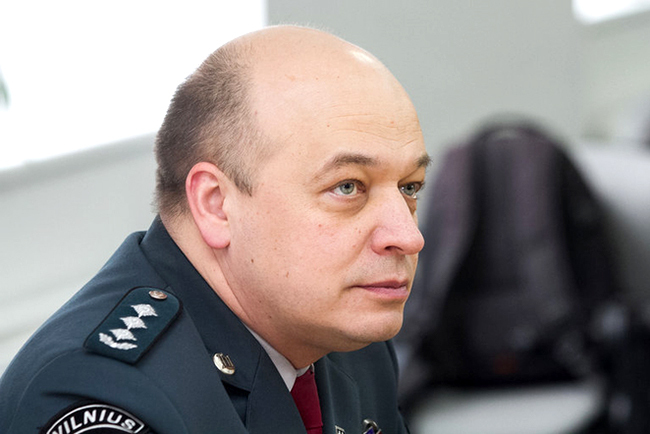 Mr Lancinskas will replace Mr Kalman Mizsei and is expected to take up his duties in Kyiv on 1 February 2016. The European Union Advisory Mission for Civilian Security Sector Reform Ukraine, EUAM Ukraine, was formally launched on 1 December 2014, with a mandate to support Ukrainian state agencies in the reform of the civilian security sector. The mission is one the central elements of the EUs enhanced support to the Ukrainian authorities after events of Euromaidan in November 2013. It follows the signing of an Association Agreement between Ukraine and the EU in 2014, which includes the establishment of a Deep and Comprehensive Free Trade Area (DCFTA). The DCFTA came into effect on 1 January 2016. EUAM aims to strengthen and support reform in state agencies such as the police, other Law Enforcement Agencies and the overall judiciary, particularly the prosecutor’s office. This process is ultimately designed to restore the trust of the Ukrainian people in their civilian security services, which have been beset by allegations of corruption and malpractice. Todays decision was taken by the Political and Security Committee. A Masters graduate of criminal law, Mr Lancinskas held several first secretary roles as part of Lithuania’s diplomatic service during the 1990s. From 1998 to 2005, he served as the head of the international cooperation and European integration service at Lithuania’s Ministry of the Interior, where he was also responsible for Lithuania’s participation in peace-keeping missions, and Lithuania’s accession to the Schengen cooperation. Mr Lancinskas became deputy police commissioner general of Lithuania in 2005, before taking over as chief of Vilnius County Police in January 2009, a position he has held until now.